Do you own a business? Does security and privacy matter to you? Perhaps you’ve been hacked before either personally or professionally? If any of these things are true you should probably look into getting a VPN such as TorGuard for your business at the very least. You may be wondering what a VPN is exactly and what reasons you might have for attaining and using one? A VPN (Virtual Private Network) or private WiFi basically gives you privacy or security when communicating between servers. Some industry people like to call a VPN a “secure tunnel”. You have to have your communications travel between your computer or company’s computers and certain private servers/VPNs if you want the right level of security and privacy. Now it should be noted that your communications can still be intercepted however, the text will not be understandable whatsoever. It will be Trumpspeak/Politicianspeak and or Gibberish. I believe we all know what that equals to when you try and decipher it. To put it succinctly a VPN encrypts data on one end decrypts it on the other. This is also called end to end encryption. Only the sender and reader can comprehend it. When using a VPN, hackers can’t intercept your company’s data or any other communications you might feel are important or sensitive. 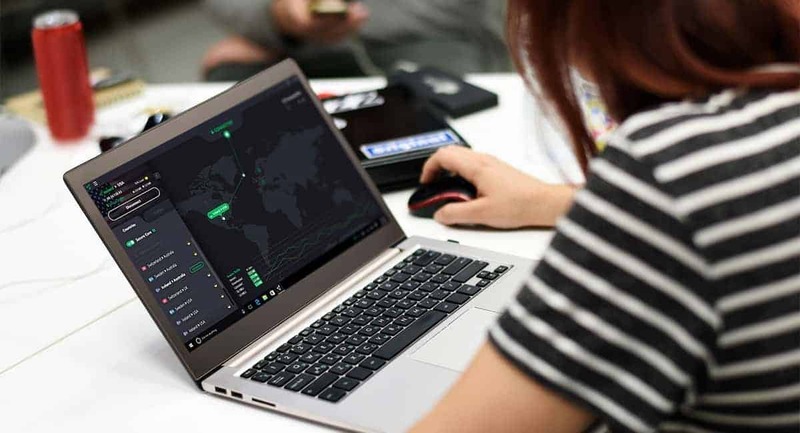 Your business really needs this because hackers typically get into your system while you are using WiFi at a hotel, airport system, or coffee shop. If you own or run a business nowadays you better be up on your SEO. Not only domestically, but globally. When you use a VPN you will be able to easily monitor your optimization around the world. How this works is the VPN allows you to view the web as if you are in the country you are trying to monitor. Many countries use different servers and often times you can’t view certain sites/search engines. When you use a VPN you can get over the hurdles or nonsense of Fascism and or censorship. Most people aren’t aware that there are more than 60 countries in the world that have some form of censorship when it comes to the internet. Take China for instance, they don’t want their citizens to have a clue about anything going on in the world. I see it when I travel in the way that they interact with others. It’s sad and unfortunate because at the end of the day they are probably really nice people. When doing business with or in other countries using a VPN will allow you to view or use pretty much any website and use VoIP calling apps without any issues.